Kamilah Wallen is the Grants Administration Officer. She supports the Finance team with accounting and clerical tasks related to the processing of cash receipts/gifts and accounts payable transactions. 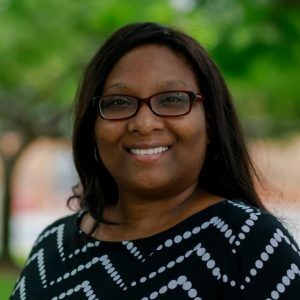 In addition, she assists the Foundation’s Director of Grants Administration in managing the Foundation’s fiscal agency grants and fiscal sponsorship funds. Originally from New York, Kamilah grew up in Miami. She remains dedicated to her part in enhancing Miami’s philanthropic growth. Prior to joining the team, Kamilah worked in disaster recovery for a third-party financial processing company.